The Old Barn is a newly built, fully equipped, stunning 4 star self catering cottage, with views of the surrounding Clogher Valley country side and close proximity to all amenities. 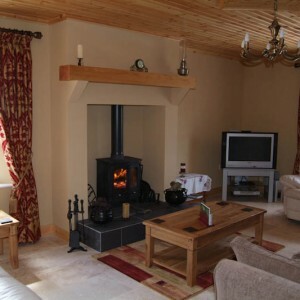 This is a perfect country retreat ideal for a romantic break or a family holiday, just 20 minutes from Enniskillen. 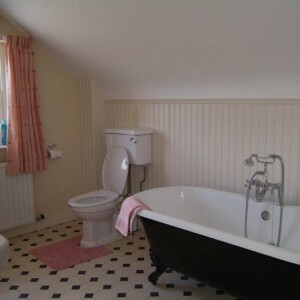 Situated on a working farm, 2 miles from Fivemiletown (less than 5 minutes off the main A4 Belfast to Enniskillen route) with shops and restaurants, and within easy driving of both Enniskillen and Omagh, the county towns of Fermanagh and Tyrone. 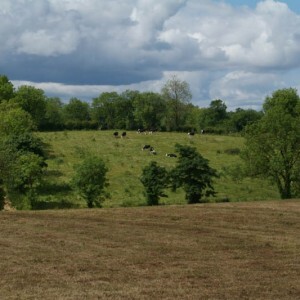 The Old Barn is also just 30 miles from Monaghan in The Irish Republic making it an ideal central base from which to explore the whole of this scenic area. 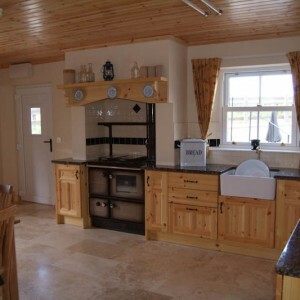 Fully equipped Kitchen/Dinette, including fridge, freezer and an oil burning cooker as well as an electric cooker. Please contact The Old Barn directly for rates and availability. Follow Murley Rd by turning right at the next junction, (past the church on the right). Follow this road for approx.1 mile.